What is it like to live without a dad? How about without a dad AND a mom? Does a lack of parent's stunt or accelerate an artist's growth? How did they learn to tie thier shoes? 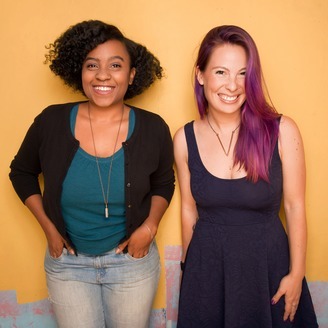 Orphan comedians, Amber Rollo & Chanel Ali, have a guest on each week to talk about it and laugh at some supremely dark stuff. Listen to their stories from the luxury of your parent's guest room, while lamenting how hard it is to not have a struggle. Remember, we are proud of you. What is it like to live without a dad? How about without a dad AND a mom? Does a lack of parent's stunt or accelerate an artist's growth? How did they learn to tie their shoes? 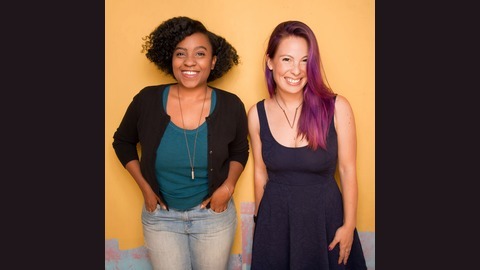 Orphan comedians, Amber Rollo and Chanel Ali, have a guest on each week to talk about it and laugh at some supremely dark stuff. Listen to their stories from the luxury of your parent's guest room, while lamenting how hard it is to not have a struggle. Remember, we are proud of you. In this episode we talk with comedian Kunal C Arora about getting catfished, burning elevators and how every hetersexual woman raises a few boys. His life sounds like a mix of The Sandlot and The Bad Seed and we're into it. Before that we chat about Netflix bringing Roald Dahl books to the small screen, Chanel writing for Netflix and throwing axes at Amber's birthday. Is axe throwing orphan? And of course our famous orpan from history, the man, the myth, the legend, Malcom X.